Contents: Preface. Part I: Object Representation and Recognition. A. Cowey, Cortical Visual Areas and the Neurobiology of Higher Visual Processes. D.I. Perrett, M.W. Oram, J.K. Hietanen, P.J. Benson, Issues of Representation in Object Vision. G.W. Humphreys, M.J. Riddoch, N. Donnelly, T. Freeman, M. Boucart, H.M. Muller, Intermediate Visual Processing and Visual Agnosia. F. Newcombe, Z. Mehta, E.H.F. de Haan, Category Specificity in Visual Recognition. 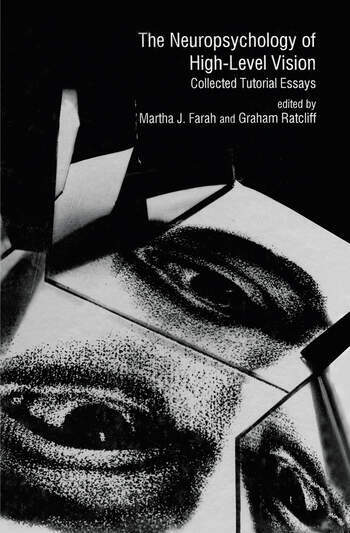 M.J. Farah, Specialization within Visual Object Recognition: Clues from Prosopagnosia and Alexia. Part II: Visual Word Recognition. M. Arguin, D.N. Bub, Functional Mechanisms in Pure Alexia: Evidence from Letter Processing. M. Behrmann, Neglect Dyslexia: Attention and Word Recognition. Part III: Top-Down Processes in Vision: Attention and Imagery. M.I. Posner, P.G. Grossenbacher, P.E. Compton, Visual Attention. M.H. Johnson, Dissociating Components of Visual Attention: A Neurodevelopmental Approach. S.M. Kosslyn, L.M. Shin, Visual Mental Images in the Brain: Current Issues. Part IV: High-Level Vision With and Without Awareness. H.B. Coslett, E.M. Saffran, Mechanisms of Implicit Reading in Alexia. A.W. Young, Covert Recognition. M.A. Wallace, Implicit Perception in Visual Neglect: Implications for Theories of Attention. "The last ten years have seen greatly increased interest in how neurological disorders can inform our understanding of higher level vision. A variety of striking new phenomena have been uncovered and new theoretical approaches developed. This excellently organised book brings together in-depth analyses by nearly all the leading experts on the topic. It will become the definitive work in the field."